You dont like the Language of your installed GTA 5 and Dont want to install the Game again only to change the Language? I give you the Chance to change the Language without reinstall your game. --- What do this Tool? 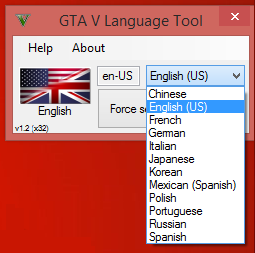 It only edit the GTA 5 Language Registry file. It dont install New Languages. 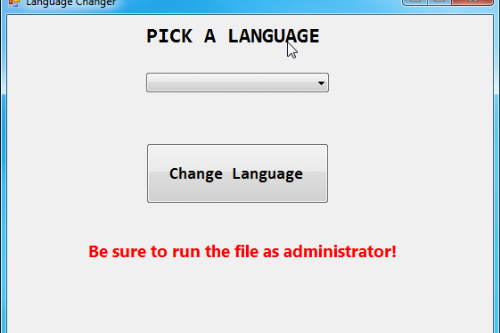 The confimation of the Change are visible when you Press "Force selected Language". The Current Language Text Changes. You found a Bug or have a Feature request? This Tool use the Original Game Languages. It not insall a new Language! Comments about "add Lanugage" will ignored! 1. Run the .exe file as administrator. 2. Choose a language from the dropdown. 3. Press the "Force selected Language" button. It changes the language file from GTA 5 in the Registry. I only Release Updates to make it 100% work without Bugs. --- Has this Tool Bugs or Errors? The registry value is there but the same error occurs. 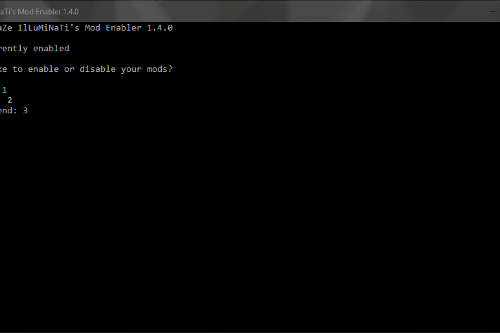 @kamikami333 Do´s the Error from Tool or GTAVLauncher? and What Error ? Version 2.0 was Released and are Pending for Approval. @kamikami333 Thanks for your Video. I hope this is a Solution for your Problem. I'm waiting for your feedback! Version 2.1 was Released and are Pending for Approval. Version 2.2 was Released and are Pending for Approval. Version 2.3 was Released and are Pending for Approval. [FIX] A bug that occurs when the language changed multiple times. Version 3.0 was Released and are Pending for Approval. [Changed] "Force selected Language" to "Set Language"
Wait wait, hold on. 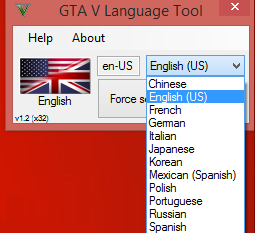 Is it me or did they add a "GTAVLanguageSelect.exe" with the Doomsday Update? Was there ever a x86 build of the game? I though it was x64-only. Thats why i add a x32/86 path option to my tool. 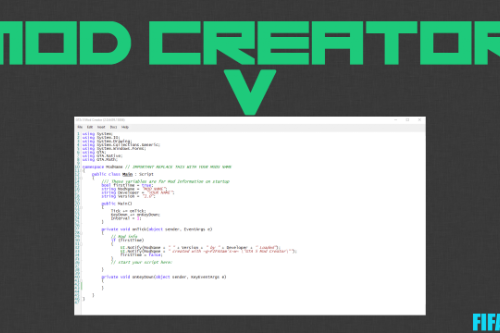 Version 3.1 was Released and are Pending for Approval. What's the point if R * has long included in the Steam (and I think other versions) an additional exe for changing the language.